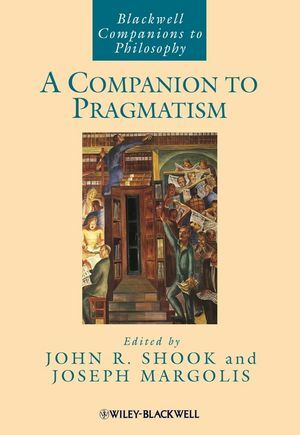 A Companion to Pragmatism, comprised of 38 newly commissioned essays, provides comprehensive coverage of one of the most vibrant and exciting fields of philosophy today. Unique in depth and coverage of classical figures and their philosophies as well as pragmatism as a living force in philosophy. Chapters include discussions on philosophers such as John Dewey, Jürgen Habermas and Hilary Putnam. John R. Shook is Vice President for Research and Senior Research Fellow at the Center for Inquiry, and Research Associate in Philosophy at the University at Buffalo. He is author of Dewey’s Empirical Theory of Knowledge and Reality (2000), editor of Pragmatic Naturalism and Realism (2003), and editor of the Dictionary of Modern American Philosophers (2005). He is also co-editor of the journal Contemporary Pragmatism. Joseph Margolis is Laura H. Carnell Professor of Philosophy at Temple University. His recent books include The Flux of History and the Flux of Science (1993), Historied Thought, Constructed World: A Conceptual Primer for the Turn of the Millennium (1995), Interpretation Radical but Not Unruly: The New Puzzle of the Arts and History (1995), and Reinventing Pragmatism: American Philosophy at the End of the Twentieth Century (2002).